Effective separation of vapour and liquid is a primary requirement for efficient industrial processing. With a vast range of fluids, physical properties, pressures, temperature and flow-rates to cover, our mist eliminators offer effective separation across the board. 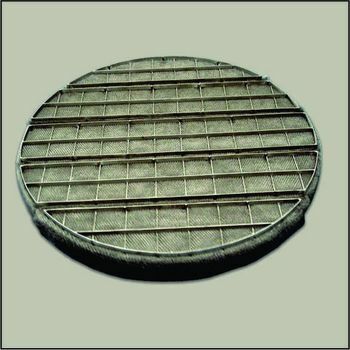 Mesh pad type mist eliminators remove droplets by impingement on the wire surface. The liquid collected on the filaments is then able to drain from the pad under gravity. They have a limited range of useful operation in which they provide almost complete removal of droplets down to about 3-5 microns. Mist is formed due to the contact of liquid with gas. This occurs in many operational processes in the chemical industry. In order to save downstream equipment, prevent loss of valuable product and avoid potential process or environmental contamination, it is essential to separate liquid particles from the gas stream. The correct recommendation and use of mist eliminator equipment for removal of entrained liquid particles can only be done when the mist formation process and subsequent mist droplet size is understood. Mist eliminators are a simple and effective solution for many separation problems in the chemical process industry. 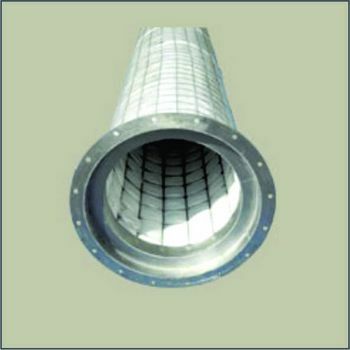 Mist Eliminators separate corrosive products from the gas stream protecting ducts, pipes and downstream equipment from corrosion. Less corrosion requires less maintenance, inspection and shut down. It also allows longer performance cycles before cleaning of mist eliminator is required, reducing downtime. Mist eliminators save valuable products from exiting the plant and being lost. 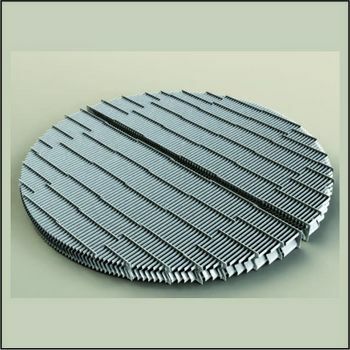 It protects equipment from corrosive liquid droplets enhancing the life of downstream process equipment, resulting in less capital costs for new machinery. It also allows your plant to meet Government regulated exhaust limits. Our advanced mist eliminator designs allow for lower pressure drop requirements compared to conventional mist eliminators, resulting in less energy requirements. Mist eliminators allow plants to run at a higher flow rate by avoiding problems of re-entrainment, where liquid droplets are picked up by high velocity gas streams. Higher flow rates allow for smaller equipment and duct sizes saving space.